A music fair for music lovers, instrument aficionados, collectors, or mere curious browsers. An open market for all sellers of products in the field of music. 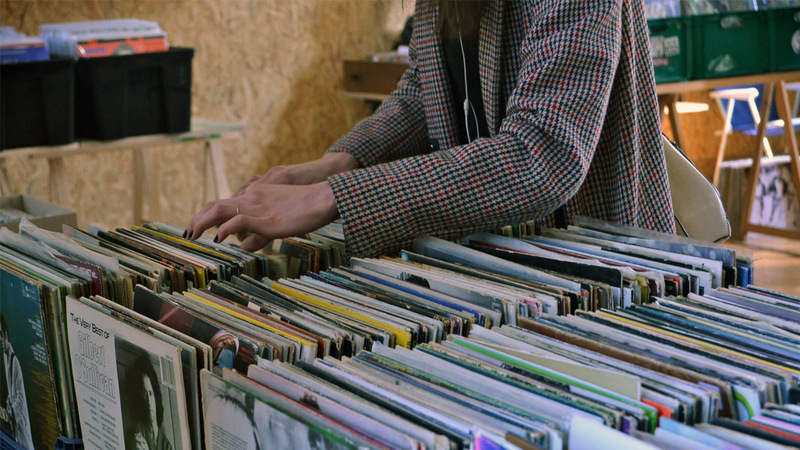 Records, instruments, pedals, stereos, amplifiers and any other material related to music can be bought and sold at gnration. Braga has been officially named as UNESCO Creative City for Media Arts. Since its foundation, the city has been at the forefront of different periods in its history. Founded by the Celts in 300 B.C., it was an administrative centre for the Roman Empire, which later elevated the territory to the status of city. As eras passed, its urban fabric was progressively contaminated by new artistic and architectural currents, of which the Baroque period is the most significant and visible to this day. Avid for new things, throughout time, the city became richer in diversity and more curious about the future. The art of technology – as a response to the recession in the textile industry in the late 20th century, Braga knew how to reinvent its economic fabric with the emergence of a technological cluster which paved the way for a new era of technology companies, digital communication studios, labs and research centers in the field of robotics, multimedia and media arts. All of these are indicators that show the city is enthusiastically headed for an increasingly digital future. At the same time, a cultural ecosystem started taking shape and occupying its space in the city. In the Braga artistic scene, contemporary and interdisciplinary, the crossing of new media with formal artistic expressions has earned its place. 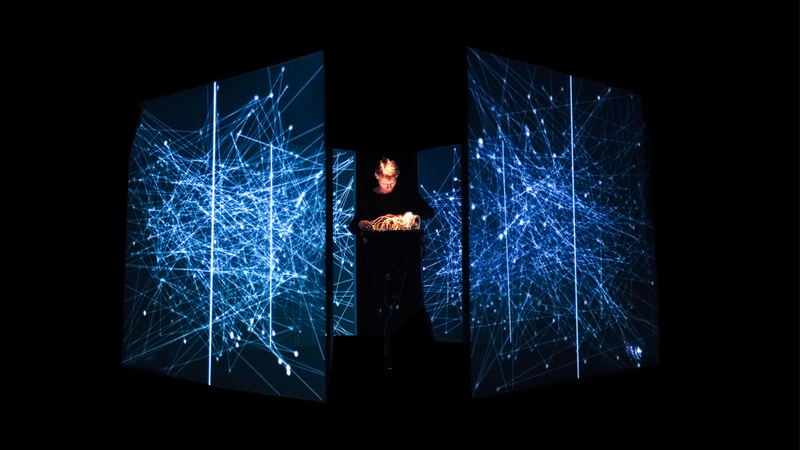 The recourse to technologies in artistic practice has made it so that many projects, a highlight of which is gnration’s artistic programming, have transported Braga to a dimension of international recognition. 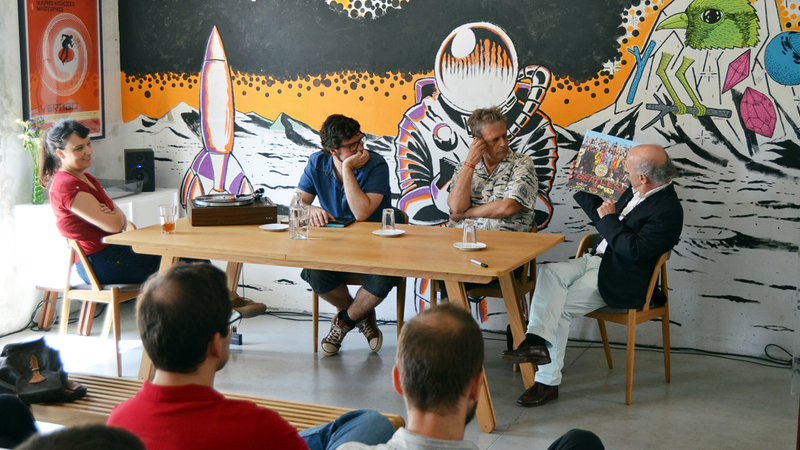 Startup Braga is an innovation hub, conceived to help projects with high entrepreneurial potential to reach international markets, and create their business models. 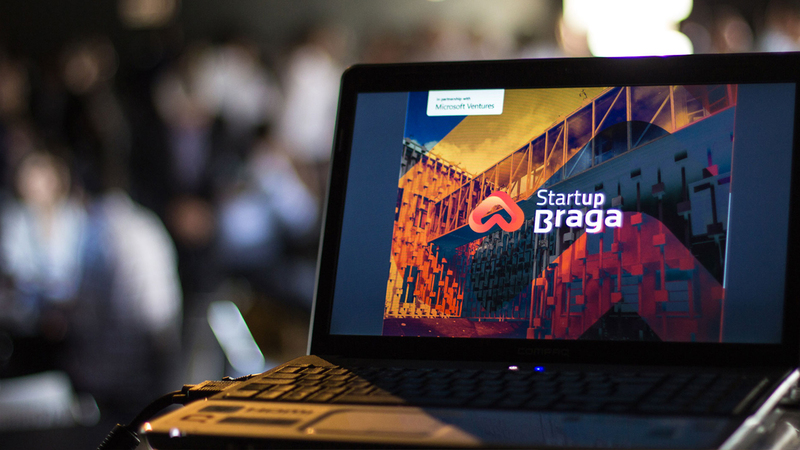 Focused on three areas – Nanotechnology, Health Technologies and Digital Economy – Startup Braga has managed to exceed expectations and support projects from their ideation stage to the time when they reach the market, through its Incubation, Acceleration and Pre-Acceleration programs. A cafeteria – A space which encourages a PAIISA accompanied by healthy food which awakens the senses, in a menu which varies according to the seasons of the year, in a symbiosis with nature’s cycles. Retrieving ancient flavors, making you travel through the smells and tastes from other eras and other places, with genuine and honest food, flavorful and balanced! Because we believe we are what we eat, PAIISA likes to invest its time in meals which are cooked from scratch, with a minimum recourse to processed products. The book space – our living room, your living room. A place to be with friends, or quietly reading a book. 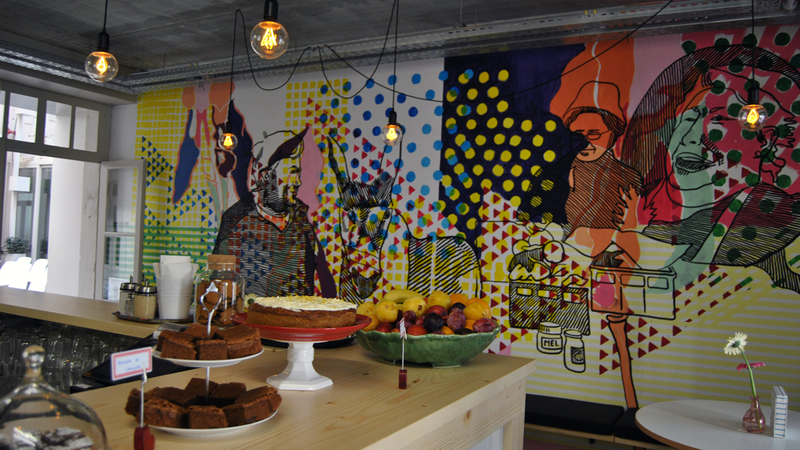 Where you can just come to drink coffee and pick up a book at our book crossing point, have lunch while you read a magazine, buy a book or take part in a workshop. Youth Store is a space strategically created to bring young people closer with the municipality (Pelouro da Juventude) and their services. This is a place where the services provided by the municipality to the youth of the city, youth associations and informal groups of young people are available and concentrated. 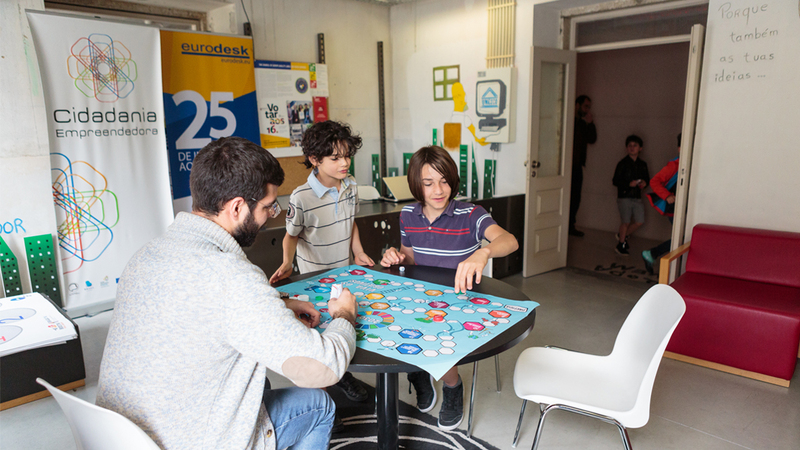 In this place, young people can enjoy individual and personalized care in various areas of their lives or in matters that are relevant to the construction of their personal projects. The services offered by Loja Europa Jovem of the various international opportunities are now inserted in the Youth Shop. hours of service monday to friday, from 10:00 a.m. to 12:30 p.m. and from 2.30 p.m. to 6:00 p.m.